Pugh’s Flowers offers local same day and express flower delivery service in Lakeland, Tennessee. 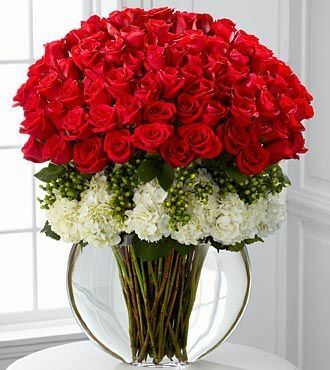 If you need to send a delivery outside of the greater Memphis metro area, we also provide nationwide same day flower delivery service.Our firm has been serving customers in Lakeland since 1976. We are a second generation, family owned flower shop. Pugh's Flowers was originally started by Bill Pugh and his partner. Today, all day to day flower shop operations are handled by brothers Michael and Tim Pugh. Brother Mark, runs the family's thriving landscape business. We employ a group of very talented floral designers. We also have a group of super dedicated operations employees and a team of professional flower delivery drivers. The flower arrangements we create are unique, artistic designs. We create everything from a traditional dozen red roses, to some of the most stunning fresh flower arrangements you have ever seen. We carry all of the areas favorite flower varieties. We have a great selection of Oriental, Stargazer and Asiatic Lilies. We have the best Ecuadorian roses in town. Our gerbera daisies, tulips, carnations and full bloom hydrangea are absolutely gorgeous. Looking for something exotic. We carry beautiful fresh Protea and the prettiest Cymbidium and Dendrobium Orchids in Lakeland. Our firm designs for all occasions, including weddings and corporate events. We are large enough to handle weddings and events of any size. Pugh's offers a great selection of occasion themed flower arrangements. We carry arrangements and gifts for virtually every special occasion & event you can think of. Many of the fresh flowers we sell come farm-direct to us. That ensures that we can offer the finest, freshest, highest quality flowers in Lakeland. We carry gorgeous Ecuadorian long stem roses, stunning cymbidium and dendrobium orchids, dazzling lilies and all your traditional favorites. Looking for something other than a flower arrangement? You have come to the right place. Pugh's has the best selection of green, tropical and flowering plants in the area. We have everything from emerald garden baskets, to hanging plants to traditional dish gardens. We also sell gourmet gift and fruit baskets. We fill them with lots of gourmet treats, including Godiva chocolates, fresh seasonal fruit and other wonderful edible delights. Pugh's Flowers offers same day flower delivery to all Shelby County Hospitals, Funeral Homes and Mortuaries. We also have a floral design center in Southaven, MS. We make daily deliveries in the Southaven Mississippi area as well. We invite you to do your shopping on our website. If you prefer, we also have four floral design centers available for you to come in and see our entireselection of flowers, plants and occasion themed gifts. We operate four flower shops in the Lakeland and greater Memphis Tennessee area. We have 1 store location in Southaven, Mississippi. Our main fulfillment center is located on Whitten Road in Bartlett. Pugh's Flowers offers both local and nationwide delivery options. Locally we offer same day and express flower delivery service. Nationally, we offer same day flower service. We have a team of delivery drivers on staff. We also own a delivery courier firm called Lickety-Split Couriers. They handle the vast majority of all flower arrangements that we deliver locally. Every flower arrangements we deliver is guaranteed to arrive fresh and on-time. All come with our 100% customer satisfaction guarantee. If for any reason you don't like the arrangement that we have designed and delivered for you, please contact our floral design center and we will replace that arrangement free of charge. The zips below represent areas included in our local delivery zone for Lakeland. Wedoprovide same day delivery anywhere in the USA, so in the event you need to send an arrangement to another city in Tennessee, or to another state, we well positioned to take care of that for you. Pugh's Flowers provides daily flower delivery to all mortuaries, funeral homes and churches. Pugh's is the go to florist for many in the Lakeland and greater Memphis area. We make daily delivery runs to all Memphis and Lakeland hospitals. Hospital flower delivery is challenging in that many of the area hospital restrict delivery times to certain portions of the day. Our expert team of delivery drivers are all familiar with each hospital in the city and know exactly what it will take to get the flower arrangement to the room of your friend or loved one. If you need the arrangement there by a specific time of day, we encourage you to take advantage of our express flower delivery service. Pugh's Flowers is known for our gorgeous fresh flower arrangements, but, we also offer the best selection of green, flowering and tropical plants in Lakeland. We have a nice selection available on our website. If you don't see what you are looking for, we invite you to stop by any of our 4 floral design center locations to see our entire collection of live plants. We recently added succulents to our plant collection and they make great gifts. They are long lasting and easy to care for.